Search engine optimization is the practice that website publishers engage in to increase their popularity in the search engine results for their chosen niche. Search engine optimization users hope to gain higher priority for their chosen search terms in the major search engines such as Google, Yahoo! and MSN Live. Search engine optimization, when done correctly, can have a profound impact on any business, online or off, since it enables thousands or even millions of internet users to better find the optimized website whereas without optimization they may not have found it at all. Search engine optimization (SEO) software includes tools that help webmasters research their chosen markets in order to hopefully rank better in the search engines. SEO software also sometimes automates much of the research needed in order to accomplish this goal. While many SEO Software offerings are not worth their asking price due to being outdated or irrelevant from their inception, some search engine optimization software gives a competitive edge due to the resources they provide. Find competitors’ websites that rank higher. This can be a very useful function because once a competitors’ website is found, their methodology in ranking higher can be reverse-engineered and thus beaten. Backlink searches. Backlinks are the backbone of the internet since search engines utilize links to crawl websites for data and determine how each website should be ranked. A website that has backlinks relevant to its content will place much higher in the search engine results than one with little or no links. Alerts webmasters to how many pages of their websites are indexed. Since search engines only index web pages and not entire sites in their results, it is important to know what has to be done to ensure that all relevant pages are indexed in order to better understand what methods are successful and which ones are not. Finds penalized websites that websites are linked to. This is a very important feature of any SEO software. A website that is penalized means that it has been dropped from the popular search engines because it has been involved in unscrupulous activity. Linking to such websites can hurt the linking websites rank in the search engines. 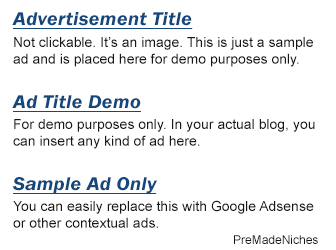 This feature helps webmasters eliminate that problem. Search engines are constantly working to evolve the algorithms that they use in order to rank websites for relevant content so SEO software also continues to evolve. The savvy webmasters utilize SEO software to elevate their websites so that they are able to receive maximum exposure.